Two months ago, I published the first of eight posts on Eric King. 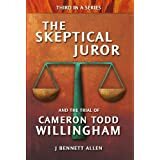 I believed there was an outside chance that facts and evidence could spare his life. I was naive and wrong. Arizona executed Eric King for a crime he probably did not commit. Eric King is still dead, and I'm still bummed. Will Foreman, the folks at Stop Big Government Maryland, and reader / commenter Al Smith, on the other hand, are considerably more bummed about the tickets. Will Foreman has been beating Maryland up in the courtroom. Stop Big Government Maryland has been beating Maryland up online. Reader / commenter Al Smith deviously linked his name to a company that sells GPS Camera Detectors. I'm pleased to see a public aroused by injustice. I join the rabble for two reasons. First, it's more pleasant writing about people being wrongfully deprived of their dollars rather than their freedom or their life. 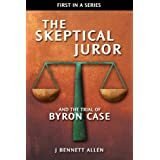 Second, I see the injustice associated with wrongful speeding tickets to be a microcosm of our country's wrongful conviction problem. The process in each situation is similar. I calculate that more than 10% of the 2.5 million people we have behind bars have been wrongfully convicted in such fashion. That's more than a quarter million of our countrymen that we have seriously, seriously wronged. Not to worry, though. It can never happen to you. Or your loved ones. You can follow the two links if you wish to see how similar the two posts are. Alternatively you can trust me. In either case, I'll repeat the Forest Heights post below, interrupting only occasionally to offer constructive criticism. Ready? Good. Settle in, buckle up, here we go. 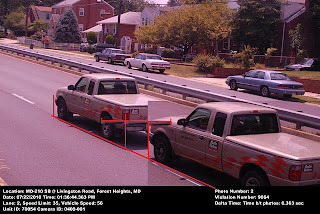 Recently some citizens have raised concerns regarding the accuracy of Forest Heights Speed Camera Program that was instituted on May 1, 2010. The Mayor, Council, and Police Chief take these concerns seriously, as it is critical that citizens have confidence that the Speed Camera Program is operating correctly. Over the last week town officials have reviewed public concerns and instituted an independent verification process. Below is an overview of how well the Town’s speed camera equipment operates. It would have been nice if the "town officials" had better explained what they meant by "independent verification." Does "independent" mean merely that the "town officials" did not conduct the analysis? Is it possible that the "independent" review was conducted by the fine folks at Optotraffic or Sigma Space Systems. They are, after all, the ones who allegedly know how the system works. Note also that the independent review took less than a week. Part of "the last week" was taken by town officials reviewing public concerns. Part was then taken by instituting an independent verification process. (It's almost as if they knew who to contact and contract for such a quick and thorough review.) Part of the week was then consumed by the independent analysis. The remainder must have been spent preparing the unattributed report, which just coincidentally mimicked the unattributed report published last year by the Town of Cheverly, who had "over the last 10 days ... reviewed resident concerns and instituted an independent verification process." So here's a constructive criticism. If you are going to assure everyone that everything is okay, and you are going to rely on a supposedly "independent" analysis to do so, you should probably at least mention the name of the person or organization who did the analysis. The speed camera unit used by the Town of Forest Heights, supplied by Optotraffic, utilizes Lidar technology for speed detection coupled with a camera for capturing vehicle information. Lidar is a speed detection technology that utilizes a laser beam to determine the distance to the target vehicle by calculating the time it takes for the beam to reflect off of the vehicle and return to the unit. 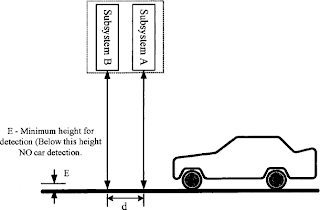 As a vehicle approaches the unit the distance changes, the change in distance and time are the variables used to determine the target vehicle's speed. In the case of Forest Heights’ Lidar, the equipment is recalibrated daily to ensure the equipment that makes this distance/time calculation is accurate. Welcome to the world of half-truths. While it is true that the system fires lasers at cars and measures the time for the beams to return, the independent reviewer forgot to tell you that the system also works by attempting to detect changes in signal strength. I guess the independent reviewer didn't check the patent. I did. Here you go. Using the recorded delay in conjunction with the signal strength, the presence/absence of a vehicle can be determined. ... If the recorded signal strength is different from the expected value, and/or the time delay is smaller than the one corresponding to the road surface, then trigger the timer to start .. or stop. The laser ranging system clearly has a problem. That's why they augment it with variable power detection. Sometimes the system will rely on how bright something is rather than how far away it is. If you put such a system in a darkened cave and shine two lights at it from random distances, it will always think the 100 watt bulb is closer than the 60 watt bulb, because the detection system was made stupid by the variable-signal-strength feature. If the system could depend on just its laser ranging capability, then it would. There would be no need to complicate everything with some sort of unproven "I have seen the light" system. Conversely, if the signal strength system was entirely dependable, there would be no need to augment it with the laser ranging system. The fact that they are using both methods tells me that they are not completely confident in either. 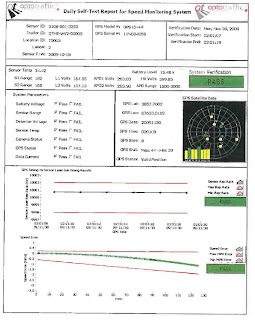 It's not that a laser system can't detect a variable signal strength, it's that it will be very difficult for the two lasers to detect within the same tolerance. One might trigger where the car is slightly reflective and the other might not. One might detect the car because the beam got brighter, and the other because the beam took longer to return. In that case, they would be looking at different parts of the car. That's bad. Lidar calculates the speed of an approaching vehicle beginning at a point 50 feet prior to the unit, where laser beams strike an approaching target vehicle at two defined locations. That's incorrect. The laser beams look downward, not up or down the road. Once again, a peek at the patent would reveal that. I'll include an image from the patent below, just in case anyone from the independent review team happens to read this post. See. The lasers point down, not up the road. I suspect the well-informed independent review team was just confused because the system snaps images of "speeders" after they pass through the beams. I quote from the news article that first loosed me on this story. Oops. They can't even get their talking points straight. Oh well, back to Forest Heights' report of their independent review. Sorry. I didn't make it very far before feeling the need to interrupt again. See. Okay, I'll back up and let Forest Heights complete a paragraph before I interrupt again. When the unit calculates the speed of a violator, and determines the speed is in excess of 12 mph above the posted speed, two different camera photographs are then made of the target vehicle after it passes the unit. These photographs are not used to calculate the speed of the vehicle, but are used for two essential purposes. The first is to capture the rear registration plate number of the vehicle (since not all States require a front plate) and the second purpose is to prove the vehicle was in motion at the time of the incident. Occasionally it is suggested by the violator that the vehicle is parked or standing. A citation is subsequently issued to the vehicle owner, as required by law, only after it is verified that there is direct visual evidence of the vehicle owner’s registration plate displayed on the vehicle. I'll withhold comment on the photos, for now. The Optotraffic equipment runs a self- calibration test every morning. An Optotraffic Technician and a Forest Heights Police Officer meet daily at the unit to review the results. Therefore, as standard practice, the equipment is verified every day. I include one of their calibrations below, for your perusal at their distress. Click to enlarge. Click twice to enlarge even more. Try not be be unduly impressed by plots, colors, and jargon. This is a public relations report. It's intended to look impressive and it's intended to give them cover. It identifies the unit, gives dates and locations, and lets the reader know that the battery was working. It shows a GPS satellite map because that's really, really impressive. The meat of the calibration, to the extent there is any meat on that bone, is the second plot from the bottom. It shows that the lasers are firing at 10,001 hertz. That means you are being lased 10,001 times per second by two lasers as you pass beneath this unit. The nominal beam rate is 10,000 hertz. The allowable rate is anywhere within 2 hertz (cycles per second) of 10,000. The unit being calibrated is within 1 hertz, based on pulses being transmitted by our GPS satellites. The bottom most plot converts the 1 hertz error into an mph error. That's all. 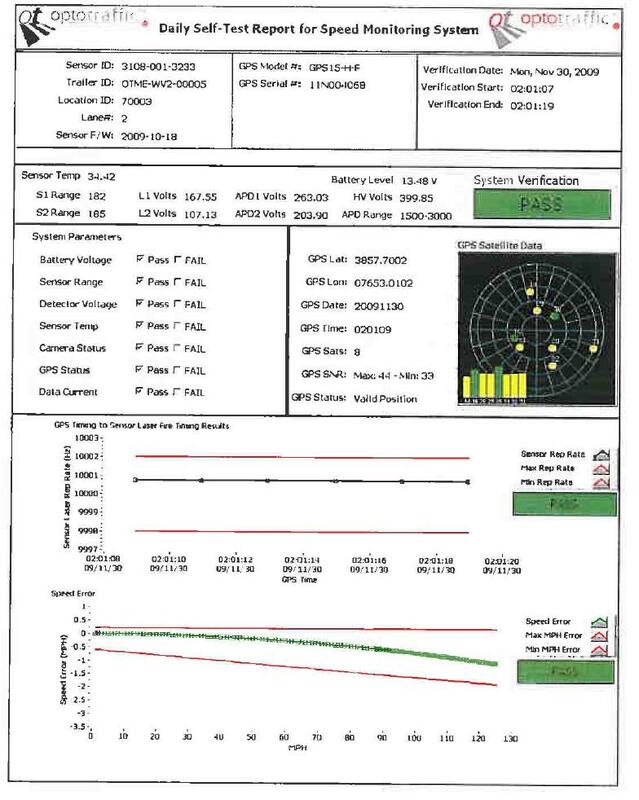 It shows that a one hertz error is equivalent to an error around 0.1 mph, if the car is going 35 mph. That's pretty impressive accuracy. That's why they show this plot. This isn't even a half-truth, however. It's closer to a one-tenth truth. The fine folks at Optotraffic, and Forest Heights, and the Town of Cheverly, and those who did the independent review, never mention that there are many other possible sources of error in the system, sources that are not addresses in the shiny plot. I discussed (in painful detail) eight possible sources of error in Automating Wrongful Convictions: Lasers Gone Wild. I'm independent. I'm (unfortunately) uncontaminated by money for my writing on this blog. I published the results of my independent survey on 28 April, just about the time the Forest Heights "town officials" were looking for an independent reviewer. I suspect, though, that the "town officials" have never heard of me or this blog. I'm guessing even if they had, they would not want me explaining to them how their units may have a problem. I'm certain they wouldn't want to hear that they probably have a bendy pole problem. I mean of course, that their unit sways in the wind. That corrupts the reading. They might also have a cross-eyed laser problem. I'm surprised the independent review team didn't mention it, given that the issue is mentioned in Optotraffic's brochure. The beams must be parallel. The uproad / downroad distance between the beams at the road must be the same as the uproad / downroad distance at the laser mount. 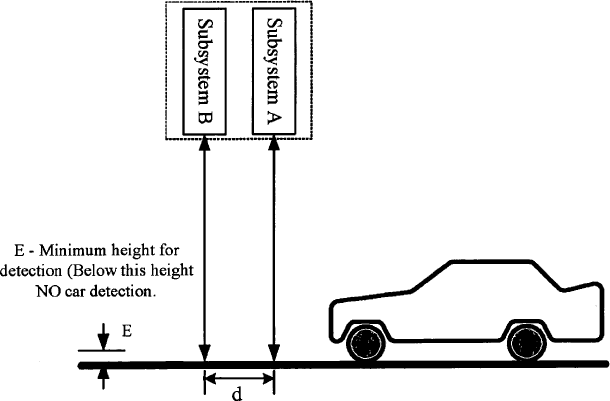 If the lasers are 35 feet from the road and 24 inches apart at the mount, and if they converge by only 1 degree, the beam distance at the road will be only 16.67 inches. That will cause a serious error in the speed calculation. If you were traveling 35 in a 35 zone, you would get a ticket for traveling 50 miles per hour. Optotraffic should show the yearly beam distance calibrations for each unit. They should also address the other multiple sources of potential error for their system, particularly the problem of poles swaying in the wind. To repeatedly spout the limited mantra about being GPS calibrated, and to consistently suggest that it is the entire story, is to be patently dishonest. Since its inception the speed camera program "Operation Get Home Safe" has issued a total of 72,808 tickets, for an average of 5 days a week during the 12 month period it has been in operation. Based on previous measures, more than 10,000 cars travel north and south bound each day on Hwy 210. This means that less than .03% of cars have received tickets exceeding the posted speed limit of 35 mph by more than 12 mph. Now this is simply pathetic. From this point on, I'm going to have to speak to Forest Heights' "town officials" directly. Listen up: 10,000 cars a day, 5 days a week for 52 weeks is 2,600,000 cars. 72,808 tickets divided by 2,600,000 cars is 0.028, which is definitely less than 0.03 which is definitely NOT 0.03%. It's 3%, you dimbulb. Now assume someone drives your road both directions, five times a week for 52 weeks. That's 520 one-way trips. Now, 3% (not 0.03% you dimbulb) of 520 trips is 15.6 tickets per year per driver, on average. You are ticketing each driver at an average rate of approximately 1 ticket per month. Seems like a lot to me. But I digress. Back to your defense of your Optotraffic system. Clearly this does not very the results of a specific ticket, but it does indicate that the equipment is not generating an abnormal number of tickets. I'm sure you meant "verify the results," not "very the results." If you are trying to make a case that you could not have made a mistake with the tickets, you are doing a bad job. Furthermore the average number of tickets per month have dropped from 16,575 per month initially to 4,892 recently, average speed of violators has dropped from 57 mph to 50. By recently, do you mean after Will Foreman's employees (and others) decided they could avoid tickets only by driving around, rather than through, your town. I notice that you earlier wrote "based on previous measures, more than 10,000 cars" traveled north and south each day. I wonder how many cars pass that way now, now that your street has become known as the Forest Heights Toll Road. Clearly you didn't intend for the number of tickets to drop off. That wasn't your hope or expectation, was it? I mean, after all, you budgeted more for tickets in your FY2011 budget than your entire FY2010 budget. You budgeted more than $1000 in speeding tickets per each Forest Heights' resident. Come on, admit it. It's not about safety. It's about money. Isn't it? Also suspicious is your claim that the average speed has dropped from 57 mph to 50. Let me check my math. I'll be back in a moment. Yep, 57 mph is 22 mph greater than the 35 mph speed limit you mentioned earlier. You allegedly put these things in school zones, though that term seems flexible when you want to collection traffic fines improve safety. Anyway, last I checked, 22 mph above the speed limit is more than the 12 mph threshold. So why is the average person not getting a ticket? How can the average speed be between 50 and 57 mph in a 35 mph zone, and you ticket only 3% (not 0.03%, you dimbulb) of the drivers? Something seems wrong here. If you sense that I am getting frustrated with the crappola, you're right. I run into this kind of crappy work all the time when I am looking at how someone got put away for life, or how someone got lethally needled by the State. It bugs the hell out of me. The number of accident reports for the intersection of Hwy 210 and Livingston Road has also dropped significantly. Overall this shows that the program is working and drivers are reducing their speed in this particular school zone. Perhaps the accidents dropped because people stopped driving down your toll road. Perhaps the intersection is the only place where traffic accidents dropped while all other locations showed substantial increases. If you can show that accidents consistently dropped in those locations where the devices operated, when the devices operated, and the accidents consistently did not drop in other locations, you might then be able to make a case that the devices reduce accidents. Simply claiming that they reduce accidents on one corner, without providing any data whatsoever, is just more of the same crap. You ask that everyone to simply trust you, at the same time you are giving people reason not to trust you. By the way, even if the devices do reduce accidents, that is no excuse for wrongfully ticketing the citizenry. One citizen argued that his own tickets images were evidence that proved the equipment was operating incorrectly. According to his measurements the photos indicated his car had only travelled 24 feet between the first and second photo. He erroneously claimed that the elapsed time between the photos was .461 seconds indicating that the car was travelling at approximately 36MPH based on his calculation of velocity as a function of distance over time. Response: The photos generated by the camera and printed on the citation are never used to determine the speed of the vehicle. 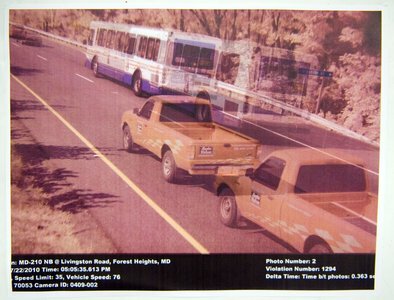 As stated above, the photos are taken after the vehicle passes the device in order to capture the license plate of the vehicle, and to prove the vehicle was actually moving if it is needed in court. The speed of the vehicle is calculated by a “laser” not a photo as the vehicle approaches the unit, 50 feet prior to passing the unit. I'm not aware of anyone suggesting that the system is calculating their speed based on the photo. If the system did, we probably wouldn't be having this discussion. Instead, your victims are using the superimposed images as a means of showing that your system is calculating their speed incorrectly. You don't have to be Einstein or Sherlock Holmes to know, to absolutely know, that the photos show your camera system is failing. Check the two composite images below. They are from tickets you sent Will Foreman for his company vehicles. You claim the truck in the upper photo is going 56 mph. You claim the truck in the lower photo is going 76 mph. It can't be. It simply can't be. Fire your independent experts, and look at the photos yourself. Look. LOOK! LOOK AT THE PHOTOS! Sorry I went all caps-lock on you. Not only can the photos be used to assess the speed, that is one of the benefits claimed by your accommodating contractor, Optotraffic. In case you have yet to read their brochure, I quote from it again for your benefit. Now back to your report. The Town’s officer in charge of the program has re-reviewed many of the tickets issued and has noted that many of the vehicles have applied their brakes by the time they have entered the picture zone. This is one reason the pictures cannot be used to determine the speed of the vehicles. If you look at the photos just presented, you will note that the brake lights on Will Foreman's trucks are not lit. You might also check with your independent review team to see if it is physically possible for a truck such as Will's to decelerate from 76 mph to 35 mph in 50 feet. Not only that, you can see whether the car was decelerating as it entered your kill zone, assuming the driver managed to see your "automated speed enforcer" at the last moment. This time, I'll quote from Sigma Space System's patent, referenced previously. 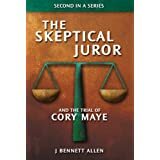 I think you should check these things out before suggesting that citizen Foreman is trying to deceive you, and the judge, and everyone else with his speeding ticket images. To suggest that citizen Foreman's analysis is incorrect because one of your fellow "town officials" saw some brake lights on some photos is a bit over the edge. Some citizens raised the fact that Brentwood had rebated all tickets issued between June 24th and July 13th. Many believed this was due to a problem with the Optotraffic equipment. Oops. Another mistake. I'm pretty sure you didn't mean to end the sentence with the word "systemic" and no punctuation. That's okay, though. I have no doubt you will find typos and grammos and other such mistakes in this post. I understand. You failed to mention, however, that the systemic problem in Brentwood was the approval of 3,500 citations by someone who was not authorized to approve the citations, by someone who was not even an employee of the city at the time, by someone who should have known better. That person was in fact Brentwood's unemployed ex police chief. And that's how you end your report? Without punctuation. My oh my. I'll just make this obvious comment, then I'll let you be. Having one of your employees check the system a couple times with his speedometer (not odometer, Jeez!) and his a radar gun is not an independent verification. So that's it for now, Forest Heights town officials. Keep up the good work.